The John Birch Society is an American paleoconservative organization founded in 1958 by Massachusetts businessman Robert Welch (1900–1985). Until the collapse of the Soviet Union in 1991, it focused on Communism as the enemy of American values, warning that the extremist ideology already exerted a powerful control on the United States federal government. Today, it focuses on fighting against globalism, the War on Sovereignty, the homosexual agenda, and other forces in the radical Left and establishment GOP. Originally based in Belmont, Massachusetts, its headquarters are now in Appleton, Wisconsin, with local chapters throughout the United States. The organization owns American Opinion Publishing, which publishes The New American. At its peak in 1964, the Society claimed to have hundreds of chapters throughout the country, 100,000 members, 400 American Opinion bookstores to distribute and sell its magazine and pamphlets, and an active cadre of speakers that crisscrossed the country. Welch ruled with an iron hand, sending out his agents to make sure the local units never engaged in operations on their own, such as endorsing candidates or lobbying for legislation. All the dues went to national headquarters in Belmont, Massachusetts and the members were to spend their energy writing letters that echoed Welch's thesis that Communists were already in power in Washington and were about to fully take over the country. Welch sponsored "Support Your Local Police" campaign, which opposed civilian review boards to monitor police brutality. The one notable national campaign was to demand the impeachment of Chief Justice Earl Warren. Not a single member of Congress was willing to present an impeachment resolution. Over the years only three Congressmen were members, most notably Larry McDonald (1935–1983), the Society president when his plane, Korean Airlines Flight 007, was shot down by the Soviet Air Force on Sept. 1, 1983 in international airspace in between Soviet Moneron Island and Sakhalin island. One of the society's most popular spokesmen was John Rousselot, a former Republican congressman from southern California. Another was John Schmitz (1930–2001), briefly a Congressman from Southern California. The organization was founded by Robert Welch in 1958 to fight subversive infiltration of the United States. He designed the Society like the Communist movement, with a strong leader at the top (himself), with each lower level following the orders they were given. Society literature denounced collectivist infiltration from Communists, the United Nations, and various front groups. In the 1960s, the John Birch Society spread its beliefs through paperback books and sending organizers to campuses, local coffee houses and other places where young people congregated. Today, it relies more on social media and the internet. The Society works towards educating Americans about the original intent of the Founding Fathers. The John Birch Society strongly believes that the United States is a Constitutional Republic, not a democracy. The John Birch Society opposes Communism, Socialism, Fascism, and Collectivism. The John Birch Society supports free-market Austrian economics as opposed to socialist Keynesian economics. The John Birch Society also advocates abolishing the federal reserve. Compared to other conservative organizations, the John Birch Society strongly defends America's national sovereignty in the face of globalism and the War on Sovereignty. It sees American sovereignty as essential to preserving the limited government and self-governance supported by the founding fathers, and it views globalists as working against American values and for a socialistic one-world government. It supports a non-interventionist foreign policy, where the U.S. protects is sovereignty by leaving the many international organizations it has tied itself up in. The Society strongly opposes left-wing attacks on conservative Christianity and its attempts to remove it from the public sphere. Since June 2012, there has been a petition drive, supported by Senator Scott Brown, to be presented to President Obama and Speaker of the House John Boehner, to reopen the investigation into the shooting down of KAL 007 and reports of the survival of Congressman McDonald. As leader of the society, Welch decided that the root cause of most of the troubles was a two-century-long conspiracy of the "Illuminati," a group supposedly founded in Bavaria in 1776. He declared it was responsible for the French and Russian Revolutions and the two world wars, as well as evils of Lincoln's income taxes, Wilson's Federal Reserve, and Roosevelt's New Deal. Most insidious of all was the United Nations. It also controlled the Communist party and the Trilateral Commission. The only member of the Illuminati he could identify by name was Nelson Rockefeller. Reagan was suspect because he picked for vice president the choice of the Illuminati, George H.W. Bush. Welch argued that the Illuminati was subversive of good government, destructive of religion, and used professional agitators and massive terror to destroy the good people, while manufacturing smears to destroy the brave souls who tried to expose it. It’s not enough that the federal Transportation Security Administration (TSA) gropes us at checkpoints in airports, photographs passengers naked, steals from them, and even killed one. Now it’s recruiting the nation’s truck- and bus-drivers as snitches against us in a scheme it calls First Observer. The logic is diabolical, totalitarian, and simple...."
Welch wrote in a widely circulated statement, The Politician, "Could Eisenhower really be simply a smart politician, entirely without principles and hungry for glory, who is only the tool of the Communists? The answer is yes." He went on. "With regard to ... Eisenhower, it is difficult to avoid raising the question of deliberate treason." In the 1960s Welch insisted that the Johnson administration's fight against communism in Vietnam was part of a communist plot aimed at taking over the United States. Welch demanded that the United States get out of Vietnam. The John Birch Society opposes the deployment of utility smart meters at residences out of a concern for both privacy and radiation health risks. The John Birch Society worries that society will become so dependent upon technology that it will evolve into a technocracy where technologist will be in control. The Society was moderately active in the 1960s with numerous chapters, but rarely engaged in coalition building with other conservatives. The singular focus of JBS was against communism. But the mainstream media so relentlessly smeared JBS that quasi-conservative groups, such as William F. Buckley and his National Review, regularly attacked Robert Welch and JBS, perhaps to gain favor with liberals. Buckley was ultimately given a show on PBS. Eisenhower cabinet member Ezra Taft Benson, a leading Mormon, spoke in favor of the John Birch Society, but in January 1963, the Mormon church issued a statement distancing itself from JBS. In 2010, the American Conservative Union (ACU) allowed it to be a co-sponsor of CPAC, a leading conservative conference. In 2012, the ACU board voted to not invite the JBS to CPAC. The John Birch Society has always been a favorite target of liberals and establishment Republicans. Liberals cite the Society in an attempt to embarrass the conservative movement by citing what they see as ridiculous conspiracy theories on the right. Some liberals just laugh and employ misinterpretations of social anxieties to warn that Birchers are misfits; most warn darkly that the John Birch Society is a dangerous manifestation of the "radical right" that aimed to subvert democracy. In practice, the Society actually did little more than publish pamphlets and sponsor local discussion groups. In addition, establishment Republicans, who support globalist policies on immigration, trade, and national sovereignty, have mocked and distanced themselves from the Society. They do this because they either do not take the Society's warnings seriously, or because they agree with the Left on such important issues. Historian Richard Hofstadter claimed the Birch Society was the leader of the right-wing in the 1960s. In 1968 Governor Pat Brown of California, about to be defeated for reelection by Reagan, unleashed a 13-page report calling Reagan a puppet of the John Birch Society. (Reagan considered the JBS leaders to be kooky and kept them out of his campaign.) As late as 1980, House Speaker Tip O'Neill warned that "John Birchers control the Republican Party," overlooking the fact that the only Birch Society member in Congress at the time was a Democrat from Georgia, Larry McDonald who caucused with O'Neill. In fact the John Birch Society never controlled the Republican party in any state at any level at any time. The John Birch Society has been labeled by the left as "racist", "fascist", and "anti-semitic". The John Birch Society has been falsely associated with the Ku Klux Klan and American Nazi Party by the far-left Southern Poverty Law Center (itself an extremist organization) and at the 1964 Republican National Convention, establishment RINO candidate Nelson Rockefeller mentioned the John Birch Society's name with the Communists and the Ku Klux Klan. But the John Birch Society was never a hate group and the society accepts non-whites, Jews and Freemasons. And the reason it was called "racist" by leftists is its opposition to certain aspects of the Civil Rights movement that were communist-influenced. The JBS opposed the civil rights movement because it was campaigning for federal government legislation which would restrict the freedoms of all Americans, of all races as well as create federal government programs which would expand the government's power. They did not oppose civil rights for blacks – they opposed restriction of rights in the name of "anti-discrimination" and expansion of federal government power and spending, and they believe that civil rights laws should be passed by the states rather than the federal government.﻿ A historical analysis by a leader of the JBS suggested that some generals and government officials during the Civil War were communists. The New American is the official magazine of the John Birch Society since 1985. It replaced American Opinion, which was published from 1958 to 1985. The Birch Society has an active publication and reprint program. Reflecting its distrust of national leadership over the last 70 years, many of its books blame the White House and national leaders for deliberately damaging the national interest—for example, by encouraging the Japanese to sink the American fleet at Pearl Harbor. 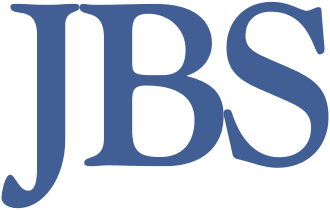 There are unofficial JBS chapters on many college campuses throughout the United States. One survey in the early 1970s found the typical John Birch Society member was middle or upper-middle class, Republican, and Protestant. He was also fairly young and well educated: the majority of the sample was under 40 at time of recruitment and had completed at least three years of college. A later survey in the mid-1980s found the membership then was disproportionately Southwesterners, young, urban, male, and Catholic. They were consistently conservative on secular issues, antigovernment, and negative toward communism. The evidence does not support liberal notions that irrationality, social strains, or status anxiety explained their beliefs. Grigg, William Norman. "Global Gun Grab: The United Nations Campaign to Disarm Americans". John Birch Society, 2001. Jasper, William F. "The United Nations Exposed". John Birch Society, 2001. McManus, John F. "Changing Commands: The Betrayal of America's Military". John Birch Society, 1995. Perloff, James. "The Shadows of Power: The Council on Foreign Relations and the American Decline". Western Islands, 1988. Smoot, Dan. "The Invisible Government". Western Islands, 1962. Robert W. Welch Jr. The Blue Book of the John Birch Society. Boston: Western Islands, 1961. Robert W. Welch Jr. and the John Birch Society The White Book of the John Birch Society for 1964. Belmont: John Birch Society, 1961. Robert W. Welch Jr. The New Americanism and Other Speeches. Boston: Western Islands, 1966. Gary Allen. None Dare Call It Conspiracy. G S G & Associates, Inc., 1971. Korean Airlines Flight 007 - Congressman Larry McDonald, the 2nd President of the JBS, was a passenger of this flight downed by the Soviets on Sept. 1, 1983 in international waters near Moneron Island west of Sakhalin Island. Since June 2012, there is a petition drive, supported by Senator Scott Brown, to be presented to President Obama and Speaker of the House John Boehner, to reopen the investigation into the shooting down of KAL 007 and reports of the survival of Congressman McDonald . ↑ Dan Barry. "Holding Firm Against Plots by Evildoers", The New York Times, June 25, 2009. Retrieved on January 1, 2017. ↑ Some chapters without Welch's approval did organize opposition to fluoridation of local water supplies or pushed a slate for election to local school boards. ↑ Since June of 2012, there is a petition drive, supported by Senator Scott Brown, to be presented to President Obama and Speaker of the House John Boehner, to reopen the investigation into the shooting down of KAL 007 and reports of the survival of Congressman McDonald . ↑ Welch said he named the Society after John Birch, the first American to die in the Cold War. ↑ There's more; see Stewart (2002). ↑ The Great Smart Meter Con. New American. Retrieved on January 2, 2017. ↑ Researcher Warns of Technocracy Takeover. New American. Retrieved on January 2, 2017. This page was last modified on 15 November 2018, at 08:38. This page has been accessed 43,077 times.